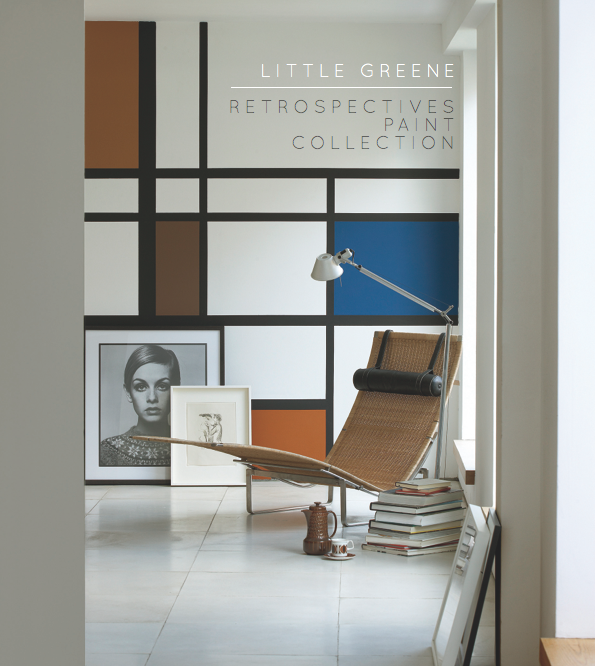 Little Greene's latest paint collection is once again a collaboration with English Heritage, this time comprising of 32 colours from the 1960s and 70s. 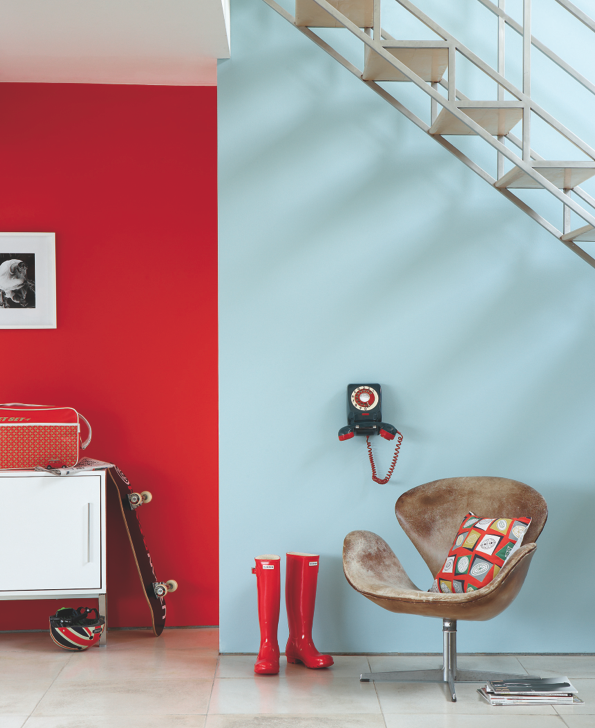 Picking up where the brand's previous collection - Colours of England - left off, these bold and confident shades are the perfect way to add interest to your interiors this season. Inspired by the changing face of Britain in the late 20th Century; a time when the country was exposed to more external influences than ever before, the hues are influenced by: the pop generation, immigration from the Indian subcontinent and the West Indies with all the vibrancy and vitality of their bright colours, and the expansion of air travel that brought increased access to holidays abroad. 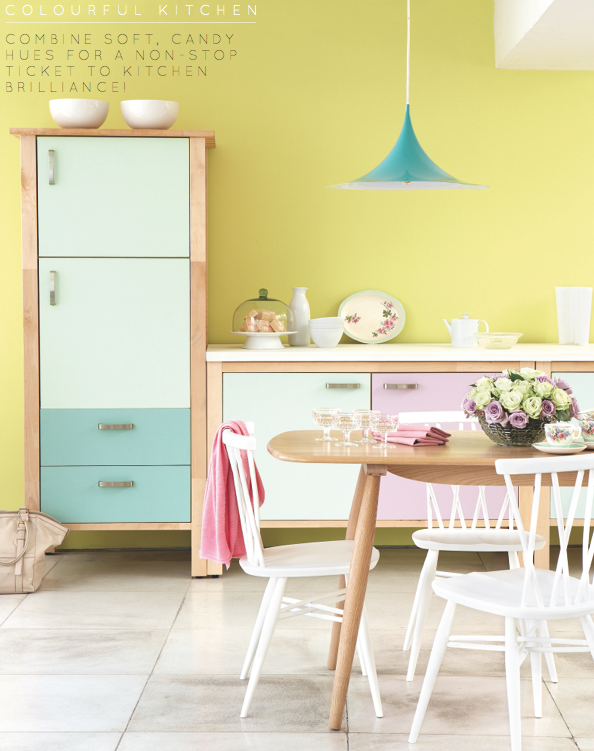 My favourite colours from the collection are seen in the kitchen space (above), which combines Lemon Mivvi, Cupboard Green, Spearmint, Milk Thistle and Grace - perfecto! Which scheme do you like best? Beautiful shades of pretty! The orange and pink combo is pretty great, so is the blue and red. Love it. I love these colours very retro! so much colour makes me feel good! 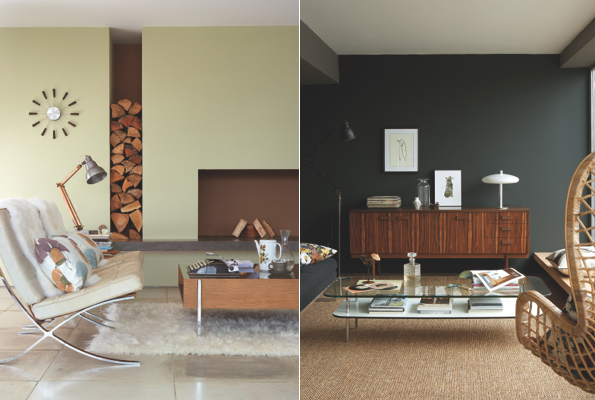 loving the teal & the black of course! Gorgeous! I love that Mondrian inspired first combo - really perfect for fall too! so many stunning colors, I so wish I was allowed to paint! I think my favorite is the yellow and white. So happy! Really like the use of all the different colors. Very playful. That hanging light bulb is awesome!! Aww that old rotary phone! They just don’t make them like they used to! hi honey! it's been a while ... ummm those red hunter boots have my name written all over them! 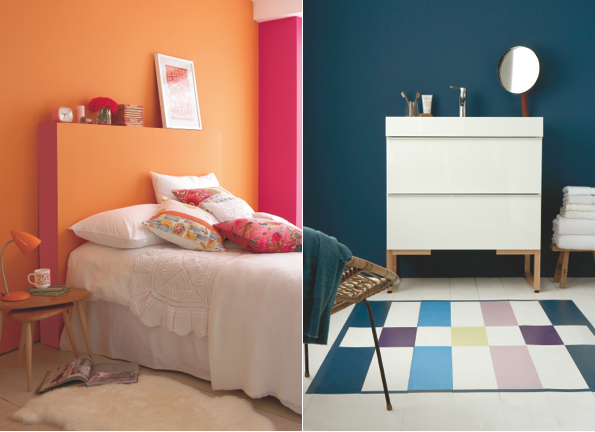 and I love the story behind these paints! The last photo looks a little like an easter egg...but I love it anyway! !